In the wake of the announcement of Mazda Team Joest DPi announcement for 2018 and beyond Mazda held a teleconference for selected media to hear and see John Doonan, director of motorsports for Mazda North American Operations (JD) and Ralf Jüttner, managing director of Joest Racing (RJ) with the opportunity to ask questions. With thanks to Mazda here’s a full transcript of that Q&A with some interesting snippets about the details of the programme to come! It may be an obvious question, but explain why Joest Racing was the chosen team, and what that really means for the Mazda prototype program. JOHN DOONAN: Well, to have a successful program in motorsport, it takes a good chassis, a good car, a good engine, good drivers, a good team. But beyond all that, especially in the world we live in today, the balance of performance, it takes fantastic people. Frankly, when you look through the record books of sports car racing, one of the greatest teams of all-time is Team Joest. From that standpoint, when you have an opportunity to work with one of the greatest of all time, it’s a no-brainer. At the same time, Joest has a terrific relationship and history and fan following in our home country of Japan. That played a key role. I also think that from the first time we met, there was instant chemistry, a common set of interests: winning races, winning championships. In the end, when you’ve got an organization like Mr. Joest and Ralf and the entire team they have built, they have represented top-level manufacturers in this very competitive industry of sports car racing, you see all those pieces come together, and it makes terrific sense. You add in folks like Multimatic, AER, and our terrific drivers from the Mazda Road to 24 and the Mazda Road to Indy, all those pieces start to come together. RALF JÜTTNER: We at Joest Racing are really excited and we’re also proud about the new partnership with Mazda. Mazda has a very, very long and big tradition, as we have just heard, in motorsports, and especially in the United States. They have built a really huge platform for all sorts of racing enthusiasts, you can say, from grassroots racing up to what we are discussing about now today in the IMSA WeatherTech program. For us, it’s really not only coming back to racing in America, which we have always enjoyed. We have done that before with the very old past with Porsches, more recently with the Audis. It has always been a big pleasure. We enjoyed the atmosphere and the racing over in America. We are really happy to come back. Also, as John said, not only do we have a huge fan base in America, we also have a really good fan base in Japan, which we are very happy about, and proud. They have embraced us always every time when we had a race in Japan. Therefore, we are really, really happy with this setup that we have a Japanese manufacturer racing in America. Again, agreeing with what John said, the chemistry and the wavelengths were there from the beginning. 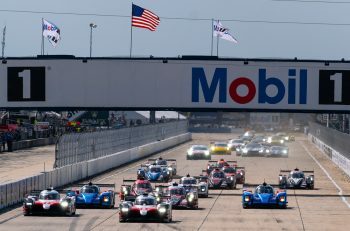 The IMSA WeatherTech Championship, being in its first year in the form that we have it now, I think has already shown really, really good racing, and competitive racing. We all know that with announcements like today and announcements like a few days ago, the competition level and the quality and the racing will get even better. So we are really looking forward to the task that’s ahead. We know it’s a difficult one, but we are ready for it. Ralf, explain your thoughts on why Joest has been so successful. What elements make your team such a success? RJ: You say it’s a simple question, but I don’t think it’s that simple (smiling). It’s a question quite often asked, to be honest. It’s really not so easy to explain. But it is about the level of preparation, which is very, very important in racing in general and endurance racing even more. It’s about the preparation for the unexpected, let’s say. So try to think about everything that can go wrong and prepare for it, then other things will go wrong. But then we will have more capacity to deal with it. But the most part of it is really just the people you are working with. There I have to say, since many, many years, we have a very, very stable, strong group of people that are just amazing. They are dedicated. They are really good in their job. They are living what they are doing. That’s 100% the most important point. 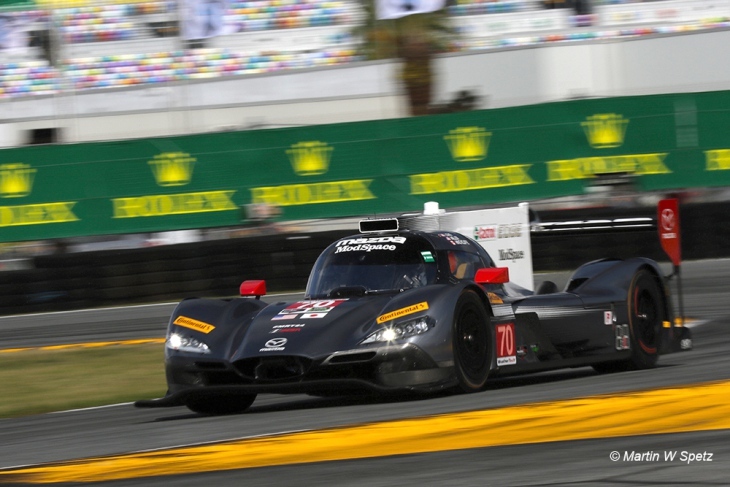 How much of an involvement will Joest have in further developments with Multimatic on the car? RJ: I hope a lot (smiling). We want to bring all the experience that we have gathered in endurance racing into this project, and therefore I expect a really, really close relationship with Multimatic on the development of the car and the improvement on the car. So I guess, yes, this should be a lot. We will both bring in whatever we have. We all know Multimatic knows how to build race cars. That is not a question. But we will put all our input together and try to come up with the best we can. Q. John, would you please confirm what this means for the rest of the season for the Mazda prototype program. 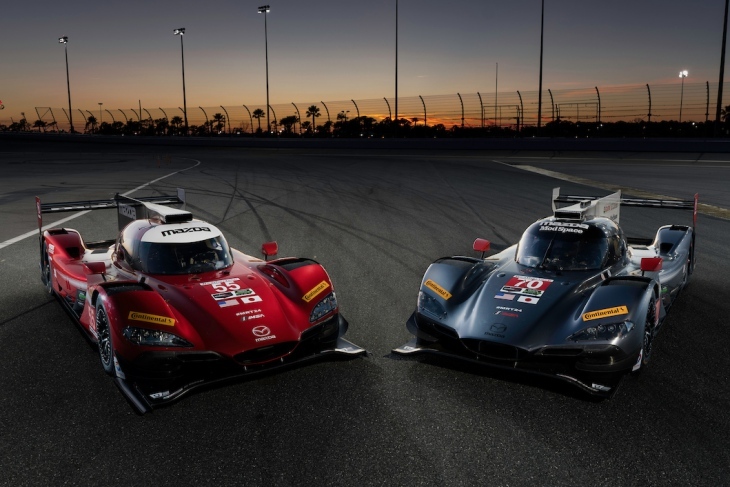 JD: This means that the two-car effort that we’ve currently been campaigning in the WeatherTech Championship will unfortunately not compete in the three remaining rounds at Road America, Mazda Raceway Laguna Seca and Petit Le Mans. That is due to the fact we will put all focus and energy on preparation for the 2018 season, testing both in Europe as well as here in the States, to get ready to do battle during the 2018 season, starting with the Rolex 24 at Daytona in January. John, please explain the focus on the test program and what went into that decision to withdraw from the final few races. JD: Well, I would be remiss before answering that question if I did not thank our long-term partners at SpeedSource, Sylvain Tremblay, his entire organization, for what they accomplished for the Mazda brand. They’re literally a perfect example of a team, much like our driver development program that started out as grassroots and grew all the way to the top level. But the real reason for the focus on testing is exactly that. Back to the question about further developing about the RT24-P. Larry Holt and his team at Multimatic are dedicated in an all-hands-on-deck fashion to help us further develop that car. Our engines partners at AER are all-in. Obviously giving Mazda Team Joest, the opportunity to get out and test with Jonathan Bomarito, Tristan Nuñez, Joe Miller, Tom Long to put miles on that package. As Ralf said, prepare for every potential scenario that we could face heading into the 2018 season, because we are going to the race track to do one thing, and that’s to win races and win championships for the Mazda brand and for all the Mazda fans. Ralf, when will testing begin? What is the timeline for that to begin taking place? RJ: We expect to be starting with the testing as soon as August, without going into detail on the test program. But in the next month we expect to have the car rolling. With the somewhat limited development allowed by the DPI rules, how much do you think the car can be developed in concert with Multimatic? RJ: Yeah, of course there are restrictions with the homologation of the cars. There are areas that can be touched and areas that are more difficult to be touched. 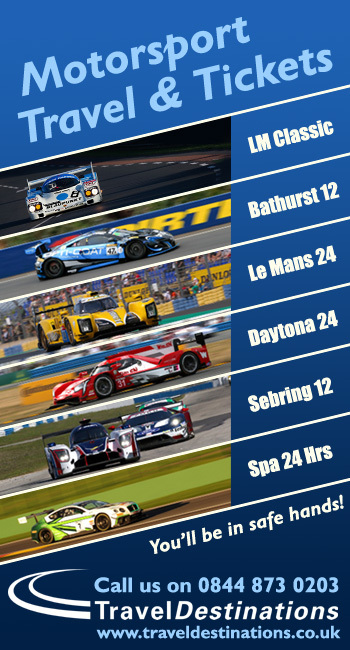 We are going, together with Multimatic, the IMSA organization, the technical guys there, to make sure that we don’t leave anything out where we can put hands on. It’s not that you have a clean sheet of paper and you can start from scratch, that’s clear. But I still think there’s a lot of potential that can be unlocked. The other thing is that we need to work on reliability, because that’s the first thing that you have to have in order to finish on top. That’s clear. John, what do you think the main areas are that will need work on the car to really improve its reliability? What elements are you most focused upon here going forward? JD: As Ralf indicated, without going into too many details on our test program, I think I’d like to give kudos to the IMSA organization. That starts with Jim France, the France family, Scott Atherton, Ed Bennett, and then the technical team Simon Hodgson, Geoff Carter, Mark Raffauf, that entire team of folks has worked extremely hard. There’s plenty of days that I’m glad I don’t have their job because they work extremely hard to keep a lot of people happy all the time. That’s nearly impossible in our sport, as we know. But I think within the regulations, of course, we’re going to do what we can. More so than reliability, I think it’s more race-ability and competitiveness. That’s our focus. Clearly, from an engine standpoint, we’ve found a sweet spot right now. But Larry Holt, and his Multimatic team, Peter Gibbons, Stephen Charsley, Julian Robertson. Everyone there is laser-focused on doing what we can to make the Mazda RT24-P the best package it can be going forward as we take on all those at the top level of the championship. So, again, can’t share too many details, but definitely interested in our race-ability and our ability to compete up front versus reliability and durability. Those things I know Ralf and his team are so focused and have such experience on those elements of durability and reliability, being prepared to finish, I think my keen interest is on how we’re going to be able to race this package against the best that’s out there. Ralf, does this involve a re-homologation of the car? Will your testing be with the current car or with a further developed version? RJ: There is, for sure, some discussions with IMSA about the homologation. It’s not a complete re-homologation, for sure. Homologation processes is anyway not completely closed. The testing will be done with a car that does already have some modifications in it. We expect more to come throughout the remainder of this year until then we have a version that we think is the right one to start the season in 2018. 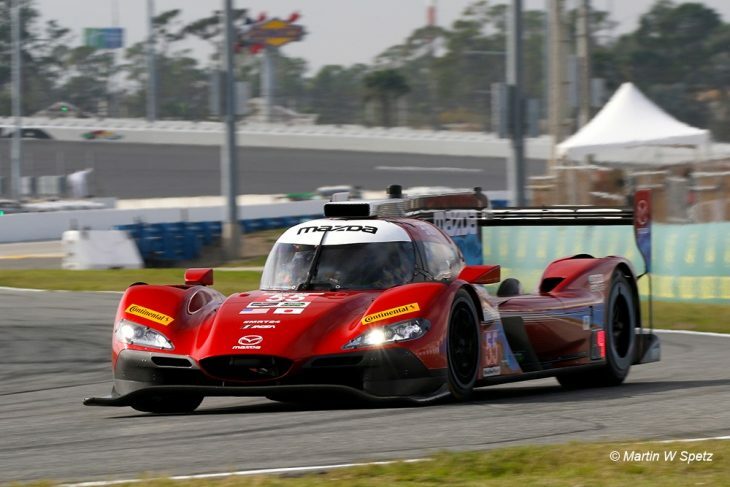 John, what impact will this have on Mazda’s grassroots mantra to a bigger prototype program on the driver lineup? How will that be determined? JD: I love that question. Actually, Ralf is the first person that will back me up on this. But when we first visited with Ralf and Mr. Joest, we put an image up on the screen of a pyramid which shows what Mazda’s motorsports strategy is. The base of that pyramid is our grassroots program. That is our foundation. All of the different steps we’ve been able to create in the Mazda Road to 24 and the Mazda Road to Indy start from the grassroots. I was pretty clear with Ralf and Mr. Joest that that can’t change. That is a critical part of our strategy. It’s a critical part of our business. In the end, that allows our Mazda fans, who take great Mazda road cars and make them into great race cars, the opportunity to compete. We’re a participatory brand. We love seeing our owners and our competitors be able to participate in autocross, solo, rally cross, and road racing. Out of that comes drivers with aspirations of racing at the top, at the Indianapolis 500, 24 Hours of Daytona, 24 Hours of Le Mans. 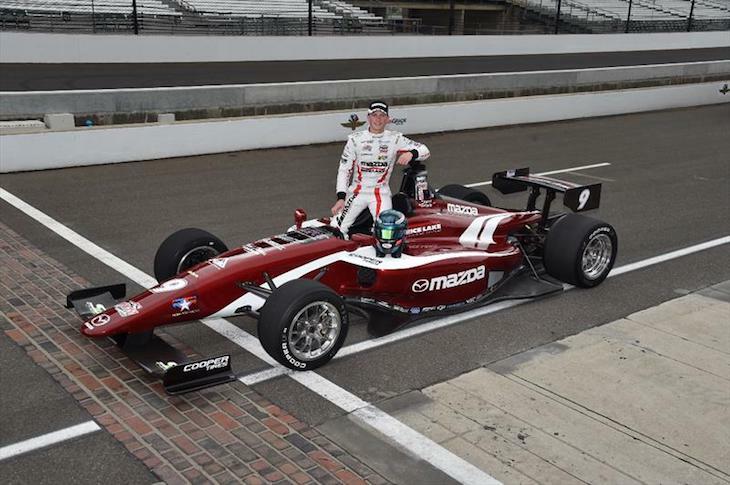 So the Mazda Road to 24, the Mazda Road to Indy has been an absolutely fertile growth opportunity for young talent to race and develop their career in Mazdas or Mazda-powered cars. So it’s our vision, and Ralf and Mr. Joest certainly agree, to have a pipeline of young talent coming up through the Mazda system. They’re homegrown. We’re very proud of that. We’re very proud of the drivers that have graduated within the system. And over time a few of them have got away. There’s plenty of names in top-level sports car positions, John Edwards, Joey Hand, Connor de Phillippi, that have come out of the Mazda system. Also when you look at the open-wheel side of the industry, when you have 25 of 33 drivers that at some point have participated in either the Mazda Road to Indy or Indy Lights, which is now part of the Mazda Road to Indy, we’re proud of those statistics. In short, our vision is to continue to develop young talent out of that system. 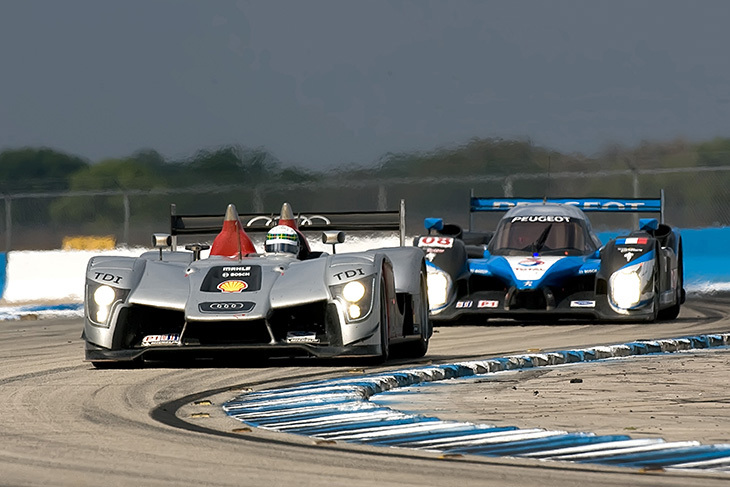 We believe in the group of drivers that have represented us in the prototype program to date. We’re going to continue to find ways to make sure that the Mazda brand is standing on the top step of the podium, whatever it takes. Do you expect the liveries to be in the Mazda traditional colors or will there be a Joest influence on the look of the cars next season? JD: You’re absolutely right, the opportunity that IMSA gave manufacturers to integrate their brand, design cues and design language is exactly the value that we can take from our sports car racing effort at the highest level. Our design team is very proud of it. We are very proud of machine gray and crystal soul red, soul red crystal. So I don’t envision those types of things changing. Mr. Joest, Ralf, and the entire team, have represented manufacturers in the past. This is about Mazda, and putting our brand in the best possible light. We’re thrilled to have the opportunity to do it with Team Joest. But we’ll see what the design team cooks up. They were focused on creating a common logo for our two brands today. We’ll see what they come up with for 2018. I’m excited myself to see what they have in store. John, I’m sure IMSA will miss both cars greatly for the rest of the season. Was there any consideration to run one car for the remainder of the season, similar to what you did when you moved from the diesel to the petrol engine program? JD: We looked at every scenario about potentially running one car, both cars. Unfortunately, the direction that we had to head strategically was to do as we suggested and not compete in the final three events. Pretty difficult for people that have invested so much into it, from technicians and mechanics and drivers. But the focus is on 2018. The focus is on testing and getting Team Joest focused on learning the car and that type of thing. It was a difficult decision, by all means. Long-term friendships there and that type of thing figure into this. I think for those who aren’t in the industry, they make an assumption that our relationships are all adversarial. That’s definitely not the case. So tough decision, but we’ve shared with IMSA the situation, and it’s bittersweet in that respect. But, as I said, the focus is 100% on delivering results in 2018. John, regarding the driver lineup, what is the timeline about making those decisions or making an announcement for the driver lineup for 2018? JD: As Ralf shared, we hope to be on track testing within the next 30 or 40 days. Our current driver lineup will be part of that testing program. Shortly thereafter, as soon as we possibly can, because I certainly respect everybody’s lives and families and things like that, they’re all life decisions in the end when it comes to employment, especially in our industry. So hopefully sometime prior to the end of the 2017 championship we’ll be able to make an announcement around our driver lineup that will carry us into 2018. John, is there any chance of a special limited edition street car, like the Mazda Joest MX-5 with a crazy engine? JD: I appreciate the question. I can’t speak for the product, guys, but I would vote yes. You would have my vote on that. 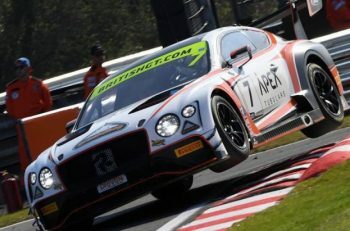 I think the one interesting storyline here, which is really special, is our design team, as much as they played a role in the KODO design language that you see in the RT24-P, they started a project some months ago to use the cockpit of the RT24-P at a laboratory to design future road car cockpits. When it comes to driver integration, which is really big for us, we call it Jinba Ittai, in the overall driving experience is critical: ergonomics, seating position, fit, finish and feel of the interior. So we’re very excited to work with Julian, Jack, Ken, Greg, the entire team out in Irvine, in the MNAO design center, as well as our design center in Japan, to do that type of development using this program as a platform or a laboratory. That’s really the tie for us when it comes to developing that next generation Mazda that’s satisfying to drive. So while I cannot speak for a hopped-up MX-5 roadster or the new Mazda6, I can speak to the fact that we have direct links with our product team and design team on what this program can do to help elevate the brand. Ralf, what will you be able to learn by testing the cars in Europe instead of focusing on a U.S.-only test plan? RJ: I didn’t say that we are only testing in Europe. We will start testing here. It’s just a logistical thing, as well, for us. We have to do a lot of work on the car, on our equipment, and we need that car here to prepare for 2018. We will, for sure, then go over and go testing in the America, as well, as we know that the circuits are different and the demands are a little bit different. But still I’m 100% sure that there is enough we can learn by doing a few tests over here. But we will later go to America on the more relevant types of tracks. Ralf, can you talk about the intent to have a U.S. team headquarters, where that will be, what that will involve? RJ: Yes. We did have a U.S. headquarters in the past when we were racing here in the early 2000 years with Audi. That has been close to Atlanta, in between the city and the racetrack Road Atlanta actually. From that tradition, we will look again into the same area because we liked it quite a lot over there. It looks like we have found something. Yes, we will build up a new base over there, which will be our home over there in the season in America. John, can you comment on the length of the current contract with Joest? JD: I unfortunately can’t speak to the business terms of the agreement. Obviously under confidentiality for both organizations. But I can share that it is multi-year in nature, with the vision of continued success for both Team Joest and for the Mazda brand. I joked with Ralf this morning that I don’t have a Le Mans trophy to put behind me or an American Le Mans Series championship trophy to put behind me in my office. But he said, Let’s go earn some trophies together. We’re going to try to do that over the next couple of years. Ralf, testing with the current lineup of drivers, is there a concern that you want to keep them onboard for 2018 or a concern that they would want to take what knowledge they learned elsewhere? How much of that is a concern when you’re testing a number of drivers? RJ: I mean, yeah, that’s the same story all over and over again. Mazda has their drivers which they have raced up to now in this season and in the past seasons. They have grown them through their own famous and very good system, which they are very proud about. That’s rightly so. We have not worked with any of these drivers up to now. I’m looking forward to do that finally. Of course, I watched carefully a lot of the last races, and tried to figure out. I’m very open to start working with those guys, and that will happen, as we said, very soon, 30, 40 days. Yeah, the rest we will see. As John said, he hopes to have a final driver lineup by the end of the season. Whether there is a change or not, we can’t tell yet. It’s not that we are coming with a whole wagon of drivers in our bag trying to bring those in. That’s not the case. We respect that it’s Mazda’s responsibility to contract the drivers. We will discuss together, as we have done in the past, because it is important, because the driver and the team relationship is a very important one. But I’m sure that we will find a good solution there. Ralf, what is the timeline to be open and ready at the Atlanta base? Do you have a timeline there that you have in mind? RJ – Yes, we do have a timeline. We are hoping that latest autumn in some stage we can move into that shop that we have at the minute looked out. There is a little bit of work to do still, but that’s what we hope. So beginning of October, end of September is what we have in mind.